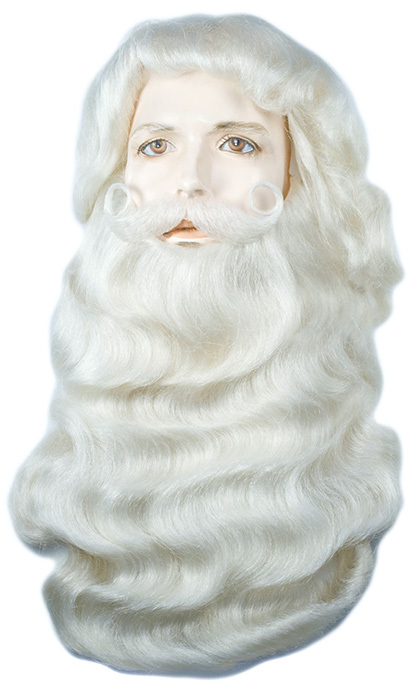 This is a beautiful Wig, Beard, and Mustache Set made of Yak hair. Mustache is not attached. Yak Mustache - #SLYAKM2 - $29.98 ea. Yak Eyebrows - #SLYAKE2 - $29.98 ea. One of the nicest Yak Sets on the market. Made of fine yak hair with an extra full beard and separate Mustache. One of the nicest Yak Sets on the market. 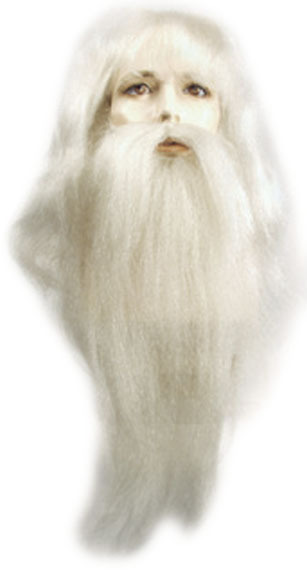 Made of fine yak hair with an extra full beard with an attached mustache. 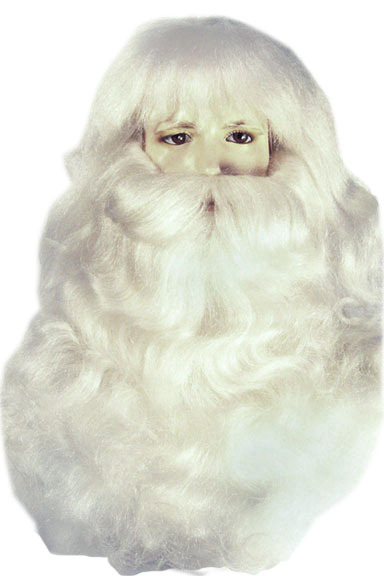 ***Santa Tip - Santa beards are usually held with one or two elastic straps over the top of the head. If an additional piece of elastic is added at the sides of the mustache going around the back of the head, a tighter, better fit can be created. 1. Fill a basin with cool or luke-warm water. 2. Add a dash of mild shampoo and swish gently. 3. Shake out gently and drip dry. DO NOT BRUSH WHEN WET. 5. Brush into desired style when wig is completely dry. 6. Do not use curling iron or curling kits on wig. 7. No setting is necessary, curls will snap back into position when hair is completely dry. Note - NEVER USE A HOT CURLING IRON OR HAIR DRYER ON SYNTHETIC WIGS.